Chinese acupuncture is about stimulating and enhancing the body’s interdependent functions and self-healing power. 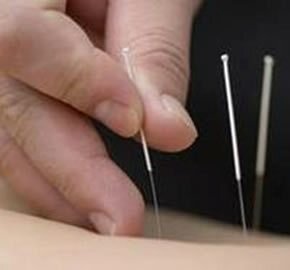 Acupuncture treatment involves the use of thin metal needles, which are inserted through the skin at specific points running along the body’s meridians (energy channels). This treatment aims to restore the flow of Qi (vital force) that has been disrupted with illness-causing blockages and imbalance. Acupuncture and Traditional Chinese Medicine is fast becoming recognised internationally as a modality that is growing in scientific evidence-base and can effectively complement conventional medicine treatments. To reflect this trend, in 2013 Traditional Chinese Medicine (inc Acupuncture) was incorporated into AHPRA, the body that regulates and standardises mainstream health practitioners. Lani Cussel is a fully accredited acupuncturist and Chinese herbalist, graduating with a Bachelor of Health Science (Chinese Medicine) from SSNT. She is a member of ATMS and registered with the Chinese Medicine Board of Australia (CMBA). Lani has a diverse background in massage therapy and body work and is passionate about using a combination of therapies as the best way to achieve positive clinical results. In a standard treatment, Lani may use a range of supportive tools such as acupuncture, herbs, massage and cupping, stretching, liniments, moxa, meditation and body awareness to create optimal wellbeing and promote an environment for healing. 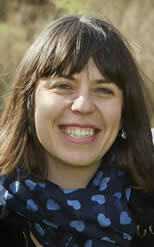 She works sensitively with her clients to ensure they are supported in their individual healing process. Lani has a special interest in musculoskeletal problems, pain, trauma and stress related disorders. She has over 17 years of personal and professional development in the areas of holistic medicine, body work, meditation and yoga, enabling her to bring knowledge, wisdom and enthusiasm to her work.